Child development depends on the interrelationships between biological, psychological, and social factors. However, several risk factors and adversities could threaten the typical child development. At-risk children and micro-system families with adverse psychosocial events should be targeted in investigations about child development, aiming to protect children from the negative impact of risks factors on the developmental pathway. The interrelationships between health and development in childhood present great challenges for investigators and clinical practitioners. The investigations under my coordination have addressed several topics about the health and development of vulnerable children at early ages, generating findings about the following issues: (1) interrelationships between neonatal pain-related stress experiences and later development in high-risk preterm infants; (2) temperament, development, and behavior problems of children born preterm, differentiated by the prematurity level and other neonatal severity of illness conditions; and (3) parenting practices of mothers to strengthen mother–child interactions, reduce child behavior problems, and promote their developmental self-regulation process. The research laboratory under my coordination (LAPREDES, FMRP-USP, Laboratory of Research for Prevention Child Development and Behavior Problems) maintains international collaborations, respectively, in pediatric pain, temperament, and parenting practices targeting to protect early childhood development. Our findings provide scientific evidence to better understand the development of vulnerable preterm children, from the neonatal phase to school age, and to establish preventive intervention strategies in Brazilians who use public health system. 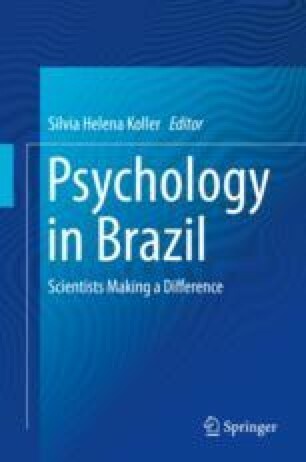 This study was supported by the São Paulo Research Foundation (FAPESP, grant number 2015/50502-8) and the National Council for Scientific and Technological Development (CNPq, grant numbers 304916/2015-3 and 404908/2016-0). São Paulo Research Foundation (FAPESP); National Council for Scientific and Technological Development (CNPq).